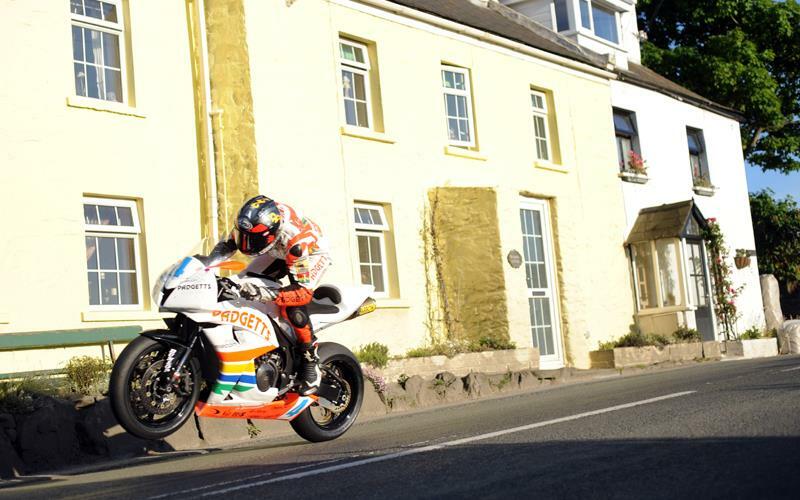 Ian Hutchinson has won a dramatic Relentless Supersport race today after long-time race leader Bruce Anstey was forced to retire towards the end of the final lap after he was suspected to have run out of fuel. Anstey had a ten-second lead going into the fourth lap but was reported to have stopped at Brandywell and Hutchinson grabbed the opportunity with both hands, coming home just under seven seconds clear of Guy Martin and Keith Amor with Honda again filling the top five places. It was Hutchinson’s second TT win after winning the corresponding race at the Centenary TT 2 years go. Martin took his seventh TT podium although he’s still seeking that elusive top spot whilst Amor repeated his result of 12 months ago. A delighted Hutchinson said, “I was a bit asleep at the start of the race, so wasn’t surprised to see P4 on my first pit board but I had a good second lap and that put me in to contention. "I knew it was close but when Bruce came flying by me I thought any chance I had of a win was over and Guy wasn’t far behind me either so I had to keep charging and it was quite hectic on the last lap with me, Bruce and Keith all close together on the roads. It was Anstey, keen to make amends for Monday’s Superbike retirement, who stole the early advantage and he was just over a second clear of Martin at Glen Helen although by the time they had completed the lap, it was the Hydrex Honda rider who was in first, a lap of 125.375mph putting him 2.7seconds clear of Hutchinson who had now demoted Anstey to third, less than four seconds covering the trio. However, Anstey tore around the Mountain Course to shatter his own lap record with a stunning lap of 126.549mph and he was able to turn his deficit into a near seven second advantage. Hutchinson and Martin had also lapped in excess of 125mph with Keith Amor moving up to fourth after he too broke the old lap record with a speed of 125.608mph. A strong third lap, including a rapid pit stop, saw the Kiwi’s lead stretch to 10.07seconds and he, Hutchinson and Amor were now together on the road although Martin was still third on time ahead of the HM Plant duo of Steve Plater and John McGuinness with Farquhar dropping to sixth. nstey seemingly had the race in the bag but the Suzuki rider was missing at the Bungalow and news came through that he had stopped at Brandywell, a lack of fuel suspected to be the cause. Hutchinson couldn’t afford to relax his pace on the Padgetts Honda though and a final lap of 125.726mph saw him claim his second TT victory. Martin took second and was again inside the old lap record although it later transpired that he’d done half of the race with a blown head gasket. Amor was only 1.19seconds behind Martin at the chequered flag with Plater, McGuinness and Farquhar holding station in fourth, fifth and sixth.